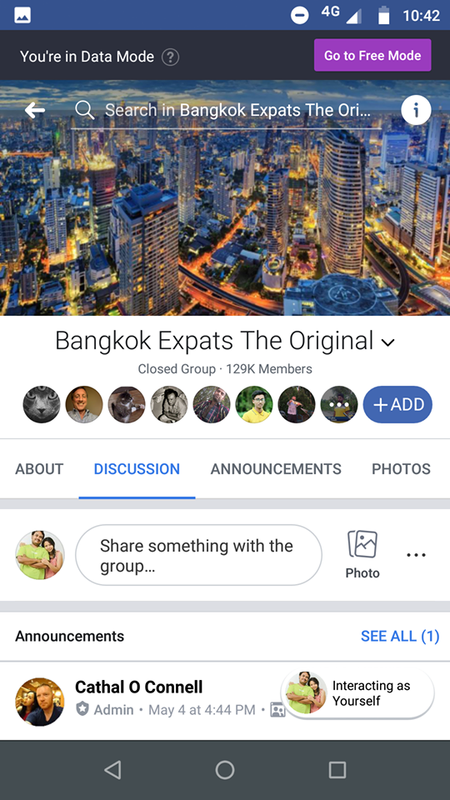 Either you tourist or live in Bangkok/Thailand, joining foreigner facebook groups seems like an inevitable thing to do. 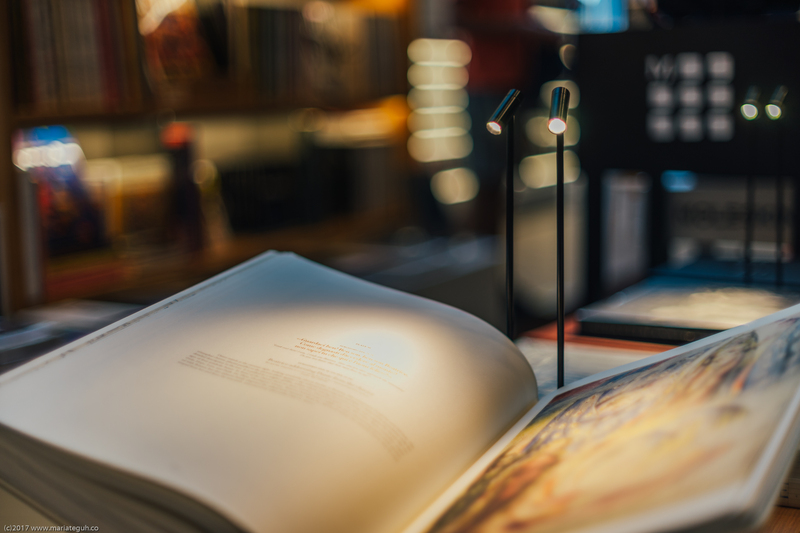 Not only information that we can get, but also adding more friends that who knows could help us to understand the city better. Actually there’s ton of facebook groups for foreigner in Thailand. From national scale, small city scale, to private scale (special for those what known as “sexpats”). But now we’re going to share only the major groups that we’ve known for years. 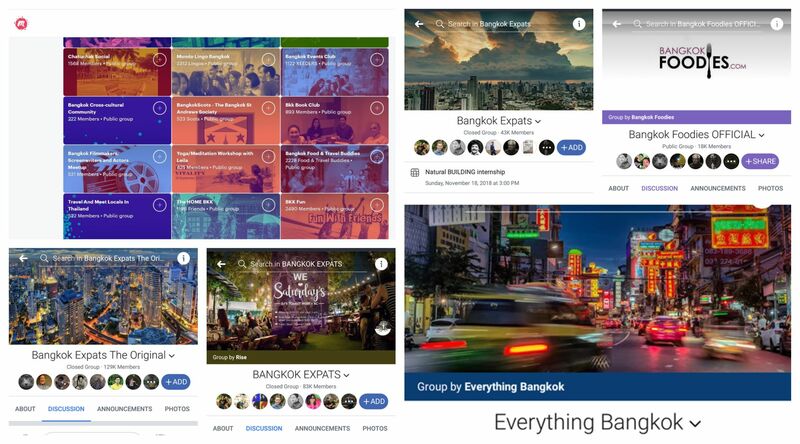 Everything Bangkok ►► The first facebook group that we join after moving to Thailand in 2012. Once it was closed down due to complaints from some people about the discussion inside. 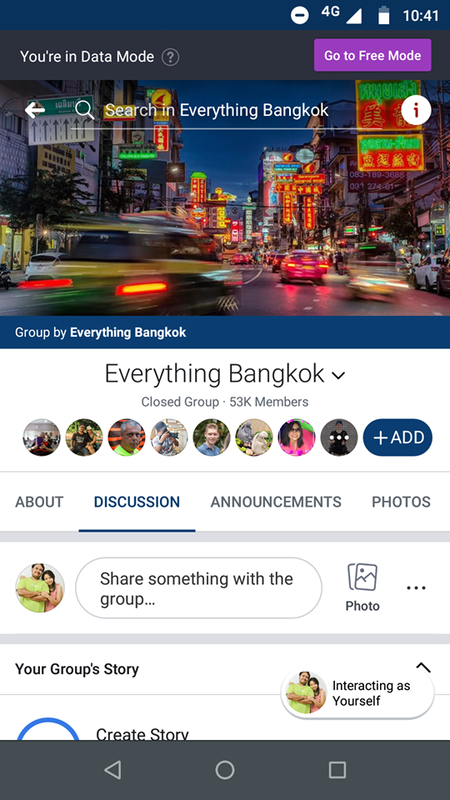 This group is not for those who have the latest gadget but prefer to ask in group how to go to Nana from Siam Paragon. Admins here are real people, and foreigners who have stayed in Thailand quite long. Means they know Thailand very well, and won’t say nice things just to win someone’s heart to stay in the group. Or today’s generation usually call this people “troll”. So if you’re like us who really know which one to ask in group and not, enjoy troll as entertainment in spare time, leaving ego and pride at home while interacting in facebook, believe google has the best answer for any question, if google cannot provide the best answer then asking in group, realize that we can’t expect people to always be kind, being kind is not always showed by smiling, then EB is the best for you. Bangkok Expats The Original ►► Similar like Everything Bangkok, admins here do the same thing as EB. Therefore, contents in group won’t be different too much with EB. 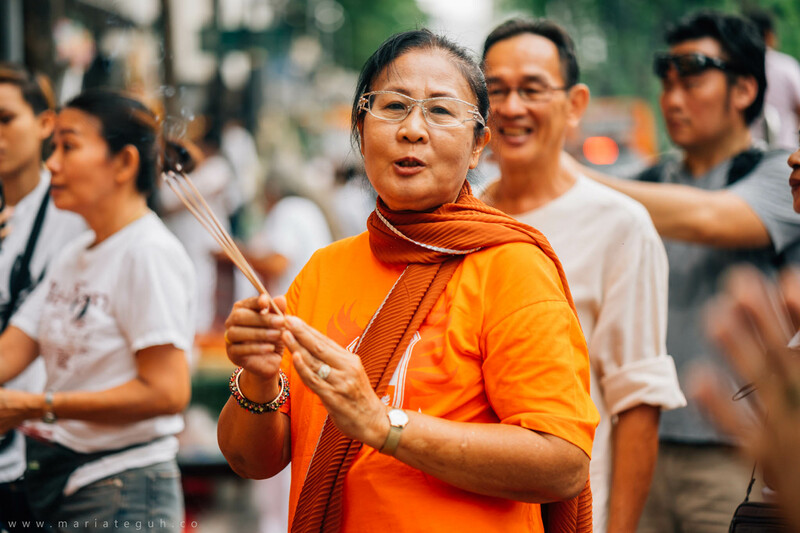 BANGKOK EXPATS and Bangkok Expats ►► The safest groups you could join in Thailand. Post any question you like here, and the chance to get direct answer is higher than 2 previous groups. 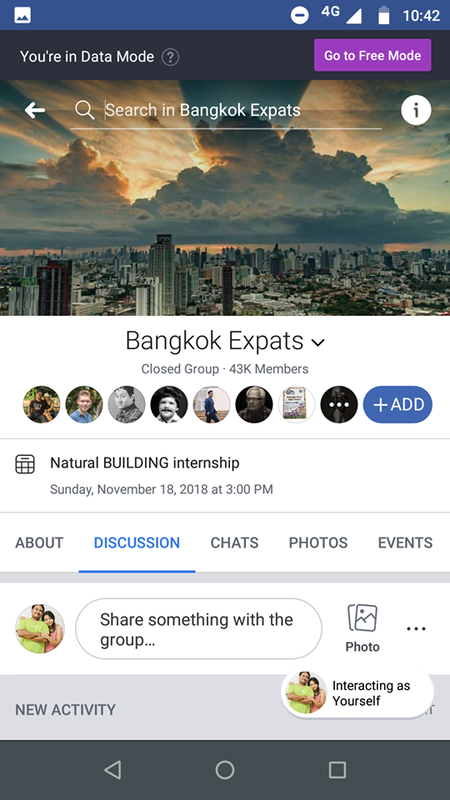 So if you’re asking silly question where to stay in Bangkok without giving detail like what you want to see in Bangkok or how much your budget, you’ll get your answer with less chance to be mixed with trolls. 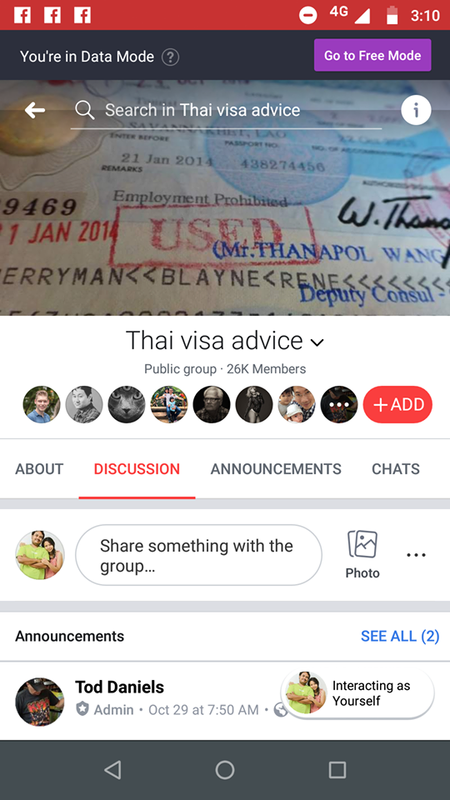 Special topic about VISA in Thailand, you can join Thai Visa Advice group. Throw any question you need to know about VISA in Thailand, and get the best answer from foreigners who do know about VISA in Thailand. Basically joining facebook groups everywhere won’t get you free from trolls. Our suggestion, be really smart, like the smartphone we have. Internet has almost every answer for our question. Always try to search the answer by yourself, then post in group if you still confuse. Question like how to do tax, how the process to get driving license in Thailand, VISA, where to get specific drug for your treatment, will get you better and clear answer from others who stay longer and know better about Thailand. As bonus, we’ll give more info about groups in Bangkok and Thailand. MEETUP, platform that used by many foreigners here to arrange some events or just simple meeting to do some activities. So if you’re looking where to play football or basketball, book club, doing Yoga, this is also good platform that you can use here. 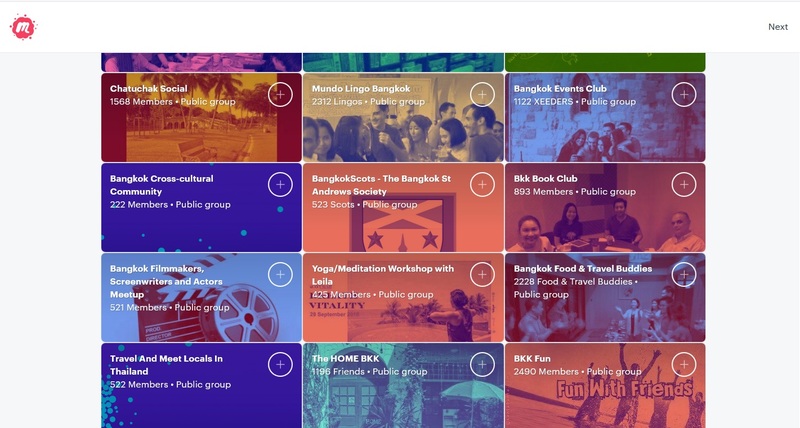 Many activities you can find in MEETUP. To buy second hand things or you wanna sell it, you could use 4 previous facebook groups to post your items that you wanna sell. 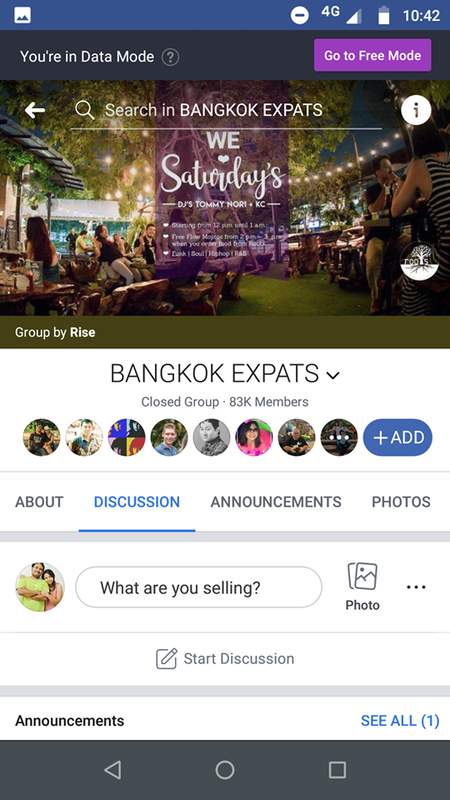 People’s favorite is using BANGKOK EXPATS group to sell their items. 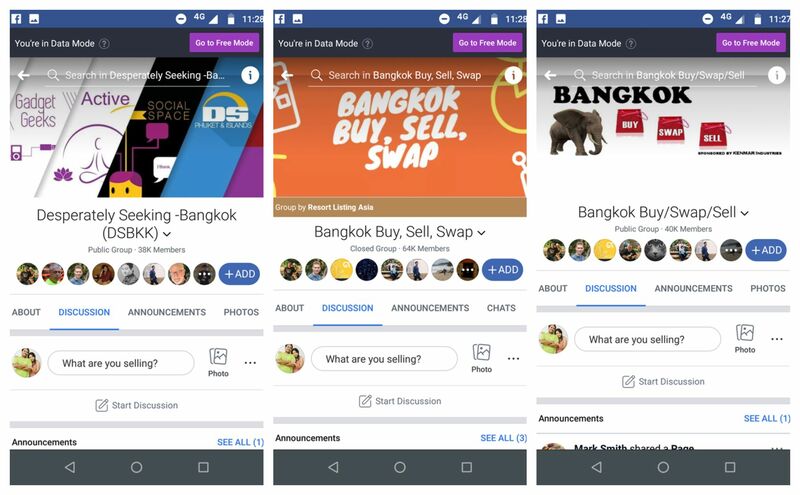 For more specific buy and sell group in Thailand, these are the most known groups among foreigners. BANGKOK BUY/SWAP/SELL, BANGKOK BUY, SELL, SWAP, and Desperately Seeking -Bangkok (DSBKK). One thing to remind you if wanna use these groups, never do any transaction online. Means meet your buyer or seller directly. Check the stuff, found it good, and pay. 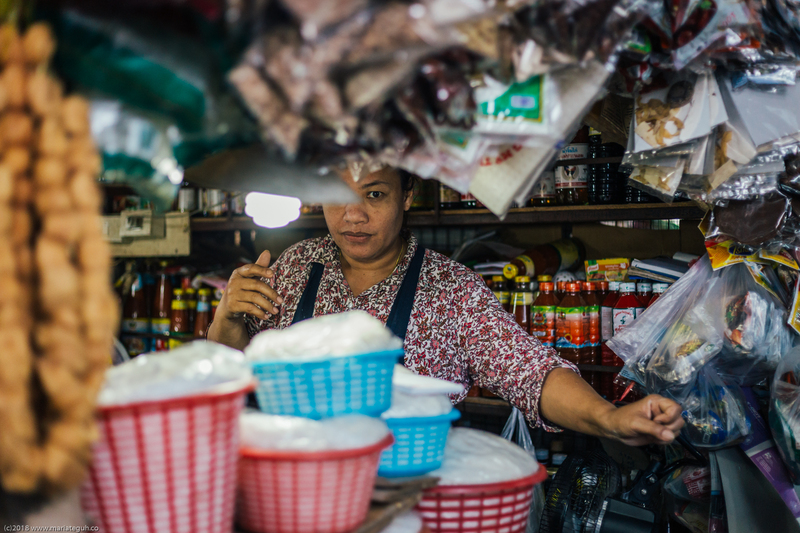 Thailand also have too many sad stories someone transfer their money but the stuff is never coming. Last but not least, for those who worship food, here’s one group you should join as well. 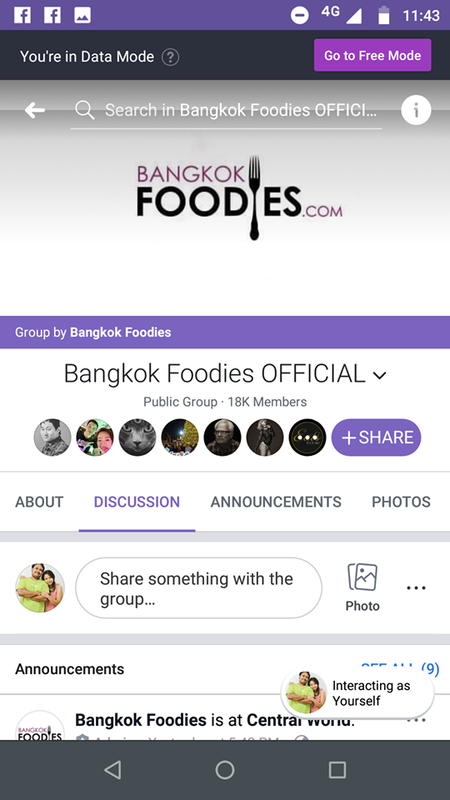 Bangkok Foodies OFFICIAL. Inside more like info not for regular street food, but where’s good restaurant for western steak, food festival event, or cool rooftop bar. Still, one group you can’t miss to join if you stay in Thailand. To close the article, we’d like to say once again, always be smart in using facebook groups. No matter how many trolls you find inside, there’s always useful information you can find and use it to survive and enjoy Thailand more.